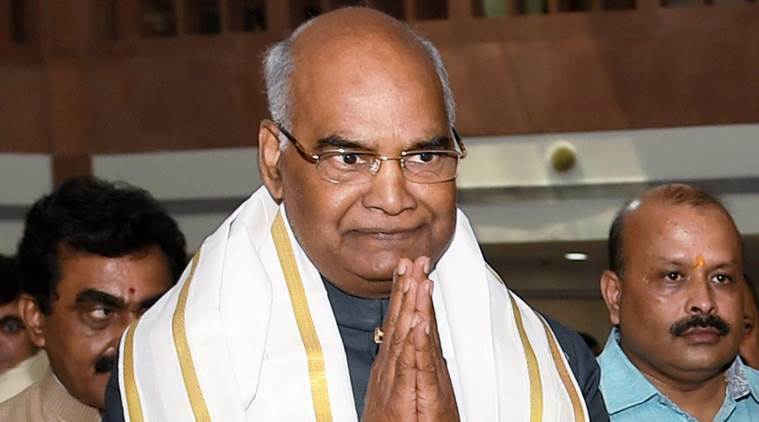 Ram Nath Kovind has been elected as India’s 14th President. After K R Narayanan, he will be the second Dalit leader to occupy the highest ceremonial post in India. He managed to receive 65.6% of the electoral votes while the UPA candidate Meira Kumar managed to get 34.55% of the total number of votes. Ram Nath Kovind was born in Kanpur Dehat, Uttar Pradesh and is an advocate by profession. The Lok Sabha passed the Indian Institute of Information Technology Public Private Partnership (IIIT-PPP) Bill, 2017 to allow the establishment of 15 IIITs on a PPP model to grant degrees and get statutory status. The Inland Waterways Authority of India (IWAI) has been permitted by the Central Government to raise Rs. 660 crores in bonds for extra budgetary resources in 2017-18. The proceeds will be utilised for development and maintenance of National Waterways (NWs). The second phase of the BharatNet project, the backbone of Digital India initiative has been extended to cover the remaining 1.50 lakh Gram Panchayats (GPS). BharatNet Project is the new brand name of the National Optical Fibre Network that was launched in October 2011 to provide broadband connectivity to all the 2.5 lakh gram panchayats through optical fibre and the funding is being taken care of by the Universal Service Obligation Fund (USOF). The Environment Ministry has approved three projects for climate change adaptation in three states viz. Rajasthan, Gujarat and Sikkim for funding under the National Adaptation Fund for Climate Change (NAFCC). The NAFCC is a flagship scheme introduced by the Union Government in 2015 to provide 100% central grant to the State Governments for implementing the climate change adaptation projects. Veteran BJP leader Lal Krishna Advani received the Lifetime Achievement Award for his contributions as a Parliamentarian in the Lok Sabha. The Supreme Court said that the Right to Privacy cannot be an absolute right and the state may have some power to put a reasonable restriction. The decision came when the Apex Court’s nine-judge Constitution bench was examining the issue whether the Right to Privacy can be declared as a Fundamental Right under the Constitution and this will be pivotal to the petitioners’ challenge that Aadhaar, which mandates citizens to part with their biometrics, is unconstitutional. A commonly used malaria drug hydroxychloroquine can effectively block the Zika virus from crossing the placenta and getting into the foetus thereby causing damage to its brain. The Telangana government has launched a special portal called Janahita to receive complaints from public and this will be a single window for all grievances and their redressal management. Google introduces Hire, a recruiting app for small and medium sized businesses that integrates seamlessly with G Suite. Hire will make it easy to identify talent, build strong candidate relationships and efficiently manage the interview process end-to-end. 1. Ram Nath Kovind is the ___ President of India. 2. The Lok Sabha passed the Indian Institute of Information Technology Public Private Partnership (IIIT-PPP) Bill, 2017 to allow the establishment of how many IIITs? 3. The Environment Ministry has approved three projects for climate change adaptation in three states. Which among the following is not one of the three states? 4. Who received the Lifetime Achievement Award for his contributions as a Parliamentarian in the Lok Sabha? 5. A commonly used malaria drug hydroxychloroquine can effectively block which virus from crossing the placenta and getting into the foetus thereby causing damage to its brain? 6. Which government has launched Janahita to receive complaints from public? 7. ______ introduces Hire, a recruiting app for small and medium sized businesses, to identify talent, build strong candidate relationships and efficiently manage the interview process end-to-end.